"We know MHL works, but LED can work better"
In celebration of Coral Magazine’s upcoming issue focused on LED lighting, I wanted to take this opportunity to share a write up about LED lighting by Shawn Wilson (Mr. Wilson on Reefcentral and Canreef) and his company, Reef and Rainforest Design. 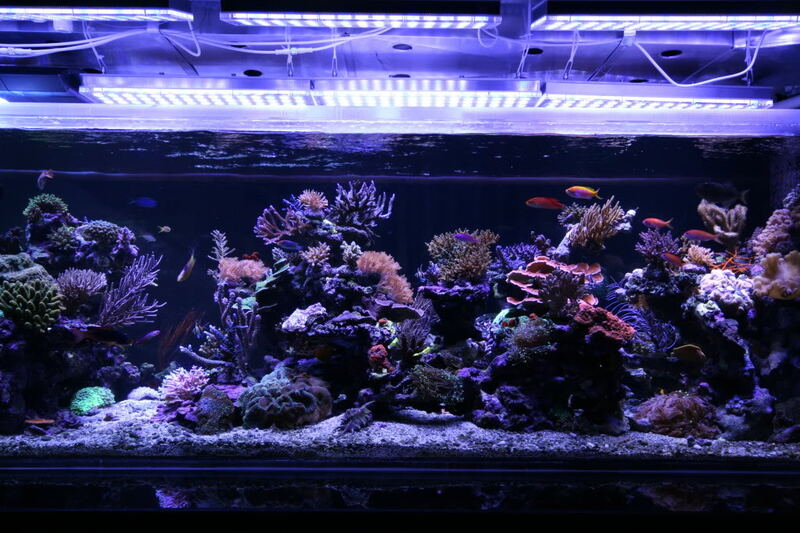 As many of you probably know from his 300+ page thread on Reefcentral, Shawn is installing a 1350 gallon reef aquarium for the system’s owner, Peter with a money-is-no-object approach. Both are committed to providing and implementing best-practice information for the benefit of hobbyists everywhere. Here’s what Shawn has to say about the processes behind the decision to use LED lights in this awesome system!